He was his own kind of drug. Addictive and problematic. Once you had a little bit of him, you wanted more, but once you had all of him, it seemed impossible to live without him flowing through your veins. Author Jay Crownover outdid herself with this book y’all. I’m a big fan of her work as a whole, and am usually left with huge book hangovers after reading her latest books, but this one takes it to a whole new level. 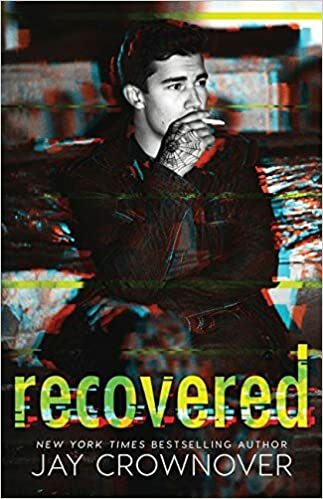 Recovered makes me wish I was a better writer and could write the flowery poetry type of review it so justly deserves. Sadly, that’s not the type of reviewer I am so we’ll have to settle for my usual style of review that’s littered with gifs. 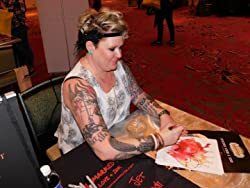 This character is really raw even for a Jay Crownover book. I’m used to her male characters with an edge. (Most of her female characters too. 😉 ) but this one takes the cake. He’s stripped down and broken and one of the best new adult characters I’ve ever read to be honest. I spent the entire book trying to figure out how Affton was going to be able to save him and when it was all played out I couldn’t have guessed how it was all going to end. Speaking of Affton, this character pulled so many emotions from me through reading this book. I think because I read the preface and knew that she was kind-of based on Jay herself, it was almost difficult for me to read her in a few scenes. I don’t actually know Jay, but we have met and reading this book made me feel like I was reading a private diary of a friend with their permission. The story was passionate and touching and truly one of the best reads of 2018 in my opinion. I give Recovered 5 out of 5 Krissy’s Stars. Add to Recovered to your Goodreads TBR! This entry was posted in ~*~ Excerpts ~*~, ~*~Reviews~*~ and tagged in Contemporary Romance, Hot Read, Jay Crownover, New Adult, new adult romance.